Model T Ford Forum: How many forum members? 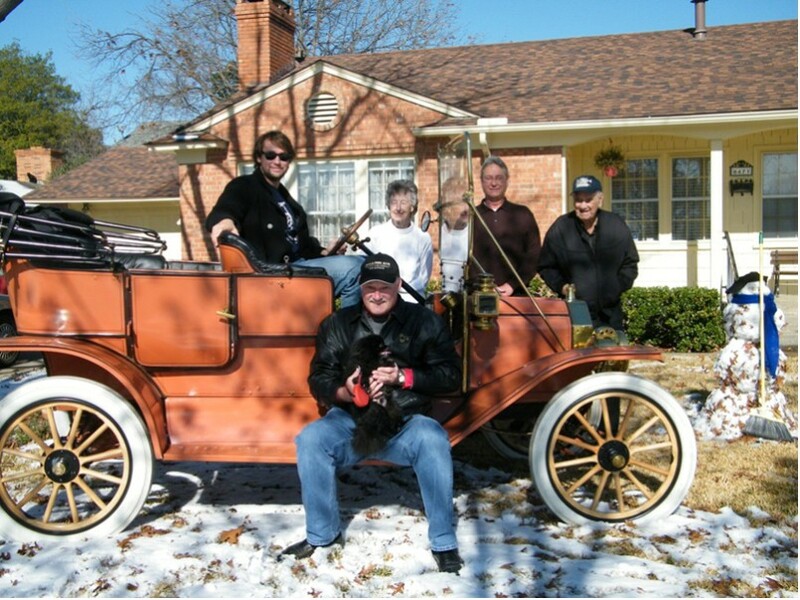 Model T Ford Forum: Forum 2013: How many forum members? Is there a way to find out an approx. number of active forum members are registered here? I poked around but couldn't find any info. I am putting together an article and I wanted to give a rough number of how many of us participate here. One here! Guess as each person adds their name to the list we could do a running count. You can ask Chris, but you might need to wait until after Christmas for an answer. Folks are beginning to get busy these days. You can add me as one. Do a 6 month search of Forum messages....... you'll get a rough estimate of Forum participants. Any member response here will not be close to the accurate number you ask. I used to figure ten lurkers for every poster. That ratio may have dropped. Don't know how many times I posted in the past 6 months but this should count me in just in case. I'm still here on the soggy North coast of Ohio. I figure that there are at least 50 or more lurkers here for each person that posts any given day. I came to this conclusion judging by how many Model T guys I meet that say they follow the forum here but don't post, or only post rarely. After all it's a BIG planet and this is the BEST forum for all things Model T anywhere on the web! I check out the Forum almost every day and post once in a while. If a Lurker finally post on the forum does that mean he has been De-Lurked? Lurked a while myself then needed some questions answered about the old 2 piece lined shoes being offered at the time. Posts can get repetitive over time so maybe a lot of questions are being answered and they don't feel the need. I also check almost every day at least once. I have used the forum, and received very good answers, some with how to pictures. I believe the questions should be as follows to get a better view of what is actually transpiring. 1. How many actively participate by Posting on this MTFCA Forum? 2. Of those who answered "Yes" in item one above, how many are dues paying member of the MTFCA. 3. How many only read the MTFCA Forum and do not Post? 4. Of those who answered "Yes" in item three above how many are dues paying member of the MTFCA? Long time MTFCA & MTFCI member. I asked years ago, and never was answered: how much does the website and forum cost? While I am a paid up new member, I don't post much. Since I am a new guy in the model T ford world, I find it better to read, listen and learn from those with more experience . I don't post nearly as often as I used to but read almost every day....when I get my replacement T, I'm sure I'll be back here more bugging you old timers with questions again..
Wishing you all the best Christmas ever"
Freezing rain here in this part of the world today. Count me in as a member and a lurker and a sometimes contributor. I find having two ears and one mouth it is better for me to listen twice as hard and speak half as much... that way people never find out how much I really don't know. Merry Christmas to all from soggy south central Missouri. Daily Viewer and slight poster Great Forum !! Wes can I borrow that description? Sure you can Herb. My grandma told me that years ago, along with a few others. I have been a MTFCA life member for over 20 years and used the forum for nearly a decade. I read it daily and contribute at least once a week. I would guess that nearly half the MTFCA members read the forum, so that would be just over 3000. The number of contributor is probably about 10% of the readers, so 300 contributors. I doubt the numbers are exactly "correct" but correct within a factor of two. There are 3300 names that have registered with this current software. There are approx. 250 people that registered and never confirmed and thus not posted. Current space required for the website is about 40 GB. The bandwidth usage is a bit harder to describe but goes up each year. Our current cost is about $500 annually. Of course that doesn't include my executive vp CEO salary!!!! Chris, that gives Ralph his answer. Total annual cost for the forum is $750,500.... (US dollars, of course). Every day . Great forum great people! Could it about time to alter the classified section to ask for a donation of say 2% or $75 (whichever is less) for items sold on the site? This is done on a banjo site I use and works just fine. It is voluntary but continuing abusers can be blocked from use. It would allow for a stipend for the web master and donations to the MTFCA and the museum. Just a thought. This might be a way to eliminate persistent scammers and freeloaders. I'd rather see a block for a valid MTFCA membership number required before posting an ad. That would eliminate the unrelated postings and could be heralded as a "membership benefit." I believe anyone should be able to read this Forum, but I have long felt that participation on this Forum (posting rights) should be limited to MTFCA members. For what it's worth, participating on this forum for a while is what finally motivated me to join the MTFCA (and MTFCI). Dad has been a member of both clubs for about 20 years, but I never was until after I started participating here. Thank you Chris for those numbers. How many members does the MTFCA have? Hey Mike Black . .. have you ever considered how many widows, neighbors and other heirs would be precluded from listing ads for Model T parts they don't want if your idea were adopted? And this life member could still advertise an 'unrelated posting' of a steam engine bronze bell for sale. You went through this, too, Ron. I was MTFCA member 1997-2002. In early 2002, there was disappointment on this Forum that Gus Stangeland, the originator, did not get mentioned in our campaign to give him the Rosenthal award. We were discussing internet only memberships, etc., and nobody would answer how much the site was costing the club. (Thank you Chris.) Meanwhile, membership swelled in those few years from 4,000 to 8,000, no doubt fueled by the site and Forum. Then Stan dropped the nugget that advertising revenue in the magazine wasn't even paying for the paper it was written on. We couldn't get a straight answer out of MTFCA. That meant dues were paying for the ads. It is ok for many that ads for Mac, Lang, Snyder, Fun Projects and Coilman are subsidized by dues, but who thinks it is fair for JCTaylor Insurance to get nearly free advertising? MTFCA and MTFCI rags carry about 30-40% of pages in ads. The HCCA Gazette, OTOH, has just 10% ads, and their ad rates are posted in the magazine. I dropped HCCA membership about five years ago, after watching a whole year's issues stack up, unread. The only membership I have now is the electronic version, American Aviation Historical Society. Why do you suppose the MTFCA membership has dwindled back down to 6,000? Could it be the organization isn't keeping up with the needs of the membership. Is the VF really worth $6 a copy to you? It should be supported by the ads. Why should I submit an article to be subject to editing, misspellings, etc., and a delay of 3 months to 3 years, when I can instantly upload to my own or another's website? Is anything ever 100% agreeable to you? I do agree with Mike Black about requiring MTFCA membership to post a free ad on the forum. Lotsa clubs do. And that said, I'm looking for a driver side running board for a 1912 Roadster....anyone got a decent one out there? I know...should post on the classifieds! But then...there's the problem with those dang scammers who seem to read those and not the forum part. And count me in the bunch here! Jerry, I held back several times on the above post, in spite of repeated needling by Ron and John wanting me to admit I'm not a member, in spite of my frequent posts. If my dissatisfaction is all you got from my post, that's ok. Over the years, I believe I have given as much value as I have received. Fair enough. Have a Merry Christmas. Chris: just to clarify something for me. That 3300. Is that people registered on this site? There can't be but under 10% of that number that post. Actually I believe it's a lot less than that. Since my name and Fun Projects were mentioned in error by Ralph I think I would like to answer his charges publicly. I may have ran a small ad in the VF in the late 80's but I don't think so. When I first started to make Voltage Regulators I could not afford the ad since I only had one product so I quickly dropped all ads along with the one ad that was running in the Model T Times and Hemmings Motor News. I have not advertised in any magazine since those early days which were more than 25 years ago. I have been a member of both clubs since before that time. The charge that club member dues are subsidizing Fun Projects is just false. There is a listing of vendors on this site that was assembled at one point and when Bruce (R.I.P.) was webmaster he put Fun Projects listing there since he said a complete listing of all T vendors was beneficial to the membership. I did not put up that ad nor ask for that listing. I think it is free to all vendors as a service to the membership. It was assembled and posted by Bruce. That listing is found on a sub page of this MTFCA web site. On the front page of Fun Projects web site is a link to the MTFCA web site as there is also a link to the MTFCI site. Those have been there since our web site was created many years ago. Cross linking is common practice and helps those searching for T parts and info to find others with like interests. Fun Projects customers do subsidize that link to this site. As valuable as people might think their opinions are - opinions don't pay the bills for club magazines, web sites, or museums. Serving the club by authoring articles in the magazine, writing articles for the electrical manuals or producing "how to" video's on things does not get those authors a pay check or free membership that I am aware of. Those people still pay dues too. This is our hobby and we need to be self supporting through our own contributions of time and yes with $$$ too since I don't think a "bailout" is gonna happen for this club if we end up needing one. I verified the MTFCA membership in 1991 by checking the number of paid subscriptions to The Vintage Ford, it was 7133. I don't know where you got your "4000" but it is not correct. I know the 1991 figure is correct because I personally hand addressed those envelopes six times during the year. The club did not pay for a machine, it was done by hand as part of the Business Managers job. From these numbers it would appear that the membership has changed by less than 5% over the last 20 years, so the Forum has not had an either a positive or negative "swelling" effect on the number of members. Now I love the forum and I agree the classified adverts could be either limited to MTFCA members and/or at a small charge to the general public. I also think the yearly membership cost is too high and I believe that is causing the slight decline in membership. Making gross exaggerations on the change in the number of members over the past twenty years is not really helpful. However I do think these pricing issues should address by the Board of Directors during the Business Meeting on the cruise ship in February. Come on, this isn't very productive really.. I didn't read it like Ralph picked on your business, Mr Regan, instead he wrote: "It is ok for many that ads for Mac, Lang, Snyder, Fun Projects and Coilman are subsidized by dues" just like it is on the sub page. I'm a proud member of the Swedish model T club but not the MTFCA, haven't got money enough to join all the clubs I might have wanted, still happy to be able to post and read here. I wish all the small business entrepreneurs who provide parts and services to the hobby, all the posters here and *especially* Ralph a very merry christmas. I belong to the MTFCA, MTFCI, AACA, HCCA, MOTAA, and local clubs , as well as other non-auto related organizations. I give them my money to promote the hobby and support organizations for like minded people. For me, it's about what the clubs are doing for the cars, the future and the public. If I like what they are doing, I get satisfaction from knowing I am helping--the magazines are a bonus. I've never seen the new MTFCA museum, but I've sent money. Getting your money's worth is not always something you can hold in your hand. This Forum is great. If I don't like a thread, I don't have to click on it! I am sorry, John, for including you in that line. I included your name because yours is one of the good vendors that many, if not most, members don't mind giving below cost ads. I have gone so far as to say several times on this Forum: a T generator shouldn't be used without a FP regulator. Thank you, Tony, for providing those numbers, and correcting my tally. My info on the 4,000 was secondhand. The issue of print magazine vs. 'e-zine is thorny. The entire site - Forum included - costs just $.07, seven cents, per member per year. Would enough members opt for $40 per year, instead of $5 or $20 for e-delivery? It's none of my business. I hope I didn't make any more errors, so not to respond to this thread again. I agree members only should be allowed to post here. Non members could be allowed to send messages to members. Allow full access to non members to read only. That would incentivise membership and exempt those who did not want to pay the price of admission. Just to set the record straight, my one eighth page vendor advertisement in the Vintage Ford Magazine costs approximately the same as ten individual memberships in the MTFCA. Vendors who place advertisements in the Vintage Ford Magazine pay their own way and a MTFCA membership subsidy is not necessary. As a nonmember, not by choice but by circumstance which I do not see changing anytime soon, my opinion only carries weight because this is an no membership to the MTFCA required forum. 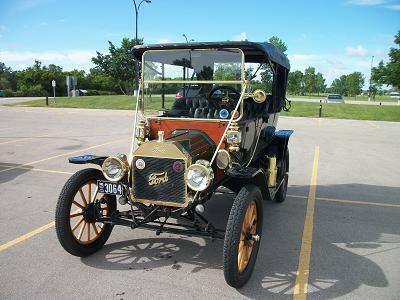 Unless the board of directors changes the rules and this becomes a closed forum, this is a public forum open to anyone that registers and has an interest in Model T's. If you want this forum to be closed contact the directors and see what their opinion on the subject is. I would wonder if being able to contribute to this forum as it stands, out weights having a closed forum as far a getting new members. The subject of placing ad's I see as a different subject. There are some ad's that should not be allowed, Chris and Mark over at the International site may know what I mean, as it now stands there is no way with the current system to prevent some of the ads from being placed. Good night and Merry Christmas to one and all! For many reasons, this IS a GREAT Forum�.yes, mostly about T�s, but sometimes about the N, R, S, and of course Rob�s K ! And some folks who, for whatever reason are not members, contribute valuable information �(it was Mark�s link to his photos that prompts this post). And there are innumerable, knowledgeable members who share their information most willingly which adds to our collective wisdom. There has been the dissemination of knowledge, expressions of joy, happiness, and upon occasion, sadness and sympathy as needed - sometimes by non-members. This is a wonderful world � if only we could give thanks for what we have � wouldn�t things be less interesting without the variety of viewpoints? Of course, one doesn�t have to agree � imagine a world without the Ch**vy � who, or what would we pick on then? Again � Merry Christmas, and I for one, give thanks to and for those who have done and continue to do so much to make this such a wonderful world Thanks EVERYONE. Mario, I like your humor! Have to say, having an "open" forum is probably beneficial to all, what with the vast expertise out there by the "occasional" poster who is not a dues paying MTFCA member. I know it took me a year to get around to coughing up the dough myself, while enjoying the comraderie here in posts. I finally "ante'd up" while on a visit to our wonderful museum a year ago, with my second Model T in tow that I bought in Missouri. But again I will say, I do feel "paid membership" should be required in order to use the classifieds. Just good business to me. And yes, Merry CHRISTmas to all, and lets have a better, friendlier 2014!! MERRY CHRISTMAS TO ALL this forum, THANKS for the many posts that have taken a "Newby" to Model T's 2 years ago into "The Most Wonderful Time of the Year. That is any day that one can get the T out of it's resting place and drive it or just tinker with it. I have taken a lot from this forum and not given much back in return as I do not know all that much about this great car. Best of all I have met and made many new friends that I enjoy being associated with. They are great people. Thanks for this forum. May we all respectfully agree to disagree at times but in a friendly manner. Slight disagreement Royce. Charging would only send non-member posters to a free site with their questions. I agree, what would be gained by requiring MTFCA membership to post? Let me qualify my statement a bit. If the site began as members only, well that would have been it. To change it now will alienate people. IMHO this Forum is successful as is, so, don't mess with it. We have to put up with the occasional bickering, rude comments, and wrong political beliefs (the ones that don't mirror mine). but, we still have the common bond that joins us together--Model T's. People often have life events that take their attention elsewhere, but, they usually come back. We don't need to be building roadblocks that hinder their return or deters newbys from lurking and posting when they're ready or need to ask a question. I've been a member of the MTFCA for many years because I think the magazine is great and I've been involved with Model Ts for over 40 years. I believe in supporting the hobby and helping others to get involved in preserving old iron. I understand the "member only" view about posting but have to disagree. I think this open forum encourages new people to become involved and they can ask questions of knowledgeable people that have real experience with Model Ts . . not the stuff they would hear in some "chat room". It would be great if more people joint the MTFCA and I think this open forum is, in the long run, more likely to add members than a closed one would. Here's wishing all of you a Merry Christmas with a Healthy and Happy New Year. I have been a member of MTFCA since late 1966. I'm active in the local VMCCA chapter here. I have gone on two National T tours that were close enough to go on the last few years. The Forum has been most enjoyable and helpful. Charlie B nailed it above. The MTFCA is free to limit the forum to members only if that's the wish of the members, but the result will only be a move of the bulk of Model T discussion on the net from here to some other free site of which there are a few. I'm not saying anyone should move over there, just pointing out the likely consequence of a MTFCA membership demand for posting here. People don't like change and non-members with barn find type cars would not be able to offer them to you here if they have a car in the family that is handed down to them. I would not join a club I had no interest in just to sell a rusty old car I know nothing about. We joined to get the VF and my wife and I both read it back to front when it gets here like most members do.